"Guy Finley Is One Of The Most Knowledgeable, Insightful, And Gifted Spiritual Teachers Of Our Time"
"You don't need strength to let go of something. What you really need is understanding." Consider for a moment how different your life would be if you discovered secrets that were capable of ending the punishment in all forms of stress, anxiety, fear, and depression? How much would your life change if you found the secret ingredients that produce perfect relationships? How different would your days be if you knew everything you've ever truly wanted was already well within your present reach? There are very few individuals of our time who have touched as many lives and assisted so many in bringing clarity, focus, understanding, and deeper meaning into their day to day lives as Guy Finley. Through his many books , audio programs, radio and television appearances, and seminars Guy Finley has quite literally made a powerful and positive difference in the lives of millions worldwide. Guy Finley's encouraging and accessible message is one of the true bright lights in our world today. His ideas cut straight to the heart of our most pressing personal and social issues ­ relationships, fear, addiction, stress/anxiety, peace, happiness, freedom ­ and lead the way to a higher life. Guy is the best-selling author of The Secret of Letting Go and more than 30 other books and audio albums that have sold over a million copies in 15 languages worldwide. In addition, he has presented over 1,000 unique self-realization seminars to thousands of grateful students throughout North America and Europe over the past 20 years. Guy has been a guest on over 400 television and radio shows, including national appearances on ABC, NBC, CBS, CNN, NPR, Wisdom Network, and many others. He has a weekly radio program on LIME Radio. 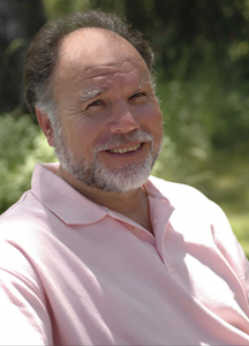 His radio program, "Guy Finley Live," is a live chat that airs monthly on HealthyLife.net as part of the network's "Visionary Celebrity Host Series." Guy is also on the faculty of the Omega Institute, the nation's largest and most trusted holistic education provider. His work is widely endorsed by doctors, business professionals, celebrities, and religious leaders of ALL denominations. Guy's career reached this point through a circuitous path. Born into a successful show business family, he is the son of Late-Night TV and radio pioneer Larry Finley. His childhood friends were the sons and daughters of the most famous celebrities in the world. As a young man Guy enjoyed success in a number of areas including composing award-winning music for many popular recording artists including Diana Ross, Debbie Boone, The Jackson 5, Billy Preston, The Four Seasons, as well as writing the scores for several motion pictures and TV shows. From 1970-1979 he wrote and recorded his own albums under the Motown and RCA recording labels. Throughout his youth, Guy suspected there was more to life than the type of worldly success that led to the emptiness and frustration he saw among his own "successful" friends and colleagues. In 1979, after travels throughout North America, India and the Far East in search of truth and Higher Wisdom, Guy voluntarily retired from his flourishing music career in order to simplify his life and to concentrate on deeper self-studies. In addition to his writing and appearance schedule, Guy presents four inner-life classes each week at his non-profit Life of Learning Foundation headquarters in Merlin, Oregon. These classes are ongoing and open to the public. Whether you're looking for deeper meaning, seeking greater insight, searching for true to life answers to some of the tougher questions regarding life, or just interested in heightening your awareness, I highly recommend the works of Guy Finley. He has certainly made a HUGE impact in our world through his unselfish contribution of assisting those who are looking for answers and providing invaluable guidance in their personal, professional, and spiritual growth and I know that he can do the same for you. If your looking for a powerful and life changing program that will assist you in discovering how to realize and experience fulfillment in ALL of the major life areas of money, health, relationships, The Secrets Of Being Unstoppable is a no-nonsense, in depth audio guide that will help you accomplish life changing and lasting results. Each of the resources recommended in the Guy Finley article and throughout Abundance-and-Happiness.com has been personally tested and approved by the founder as a credible and effective means of accomplishing it's intended purpose. Any and all guarantees are handled through the company that provides the resource.